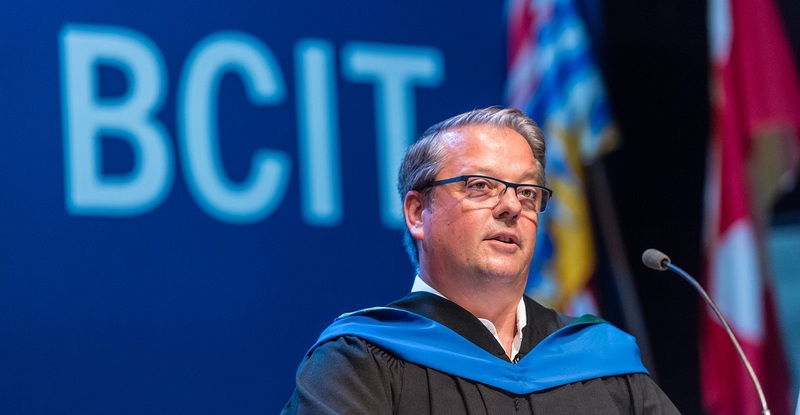 The BCIT Alumni Association (BCITAA) board of directors appointed Emil Bosnjak as president, following their Annual General Meeting (AGM) on June 11. Emil previously served on the board from 2003 to 2006. “I’m thrilled to return to the BCIT Alumni board as president, and look forward to giving back,” says Emil. “My BCIT education prepared me to launch, grow, and diversify my own business, and two of my daughters have recently graduated from BCIT as well. Emil graduated in 1988 from BCIT’s Marketing Management, Entrepreneurship program. His first job was selling cellular phones, and two years later, he launched his own company, BWireless Communications Inc. After growing the retail division across the country for 20 years with his brother Boris, also a BCIT alum, he recently sold the division to Telus. BWireless continues to sell mobile devices into the public and private sector throughout Canada from its Vancouver, Calgary and Toronto offices. Recently, Emil partnered with Toronto tech firm Enginess to build Simplify Wireless, a managed mobility SaaS (software as a service) solution that supports Canada’s largest mobility fleets. His 75,000+ subscribers include provincial and municipal governments, health authorities and large corporations. In 2001 at age 34, Emil was selected by Business in Vancouver Magazine as one of Vancouver’s top 40 entrepreneurs under 40. The Alumni Association board also appointed Manpreet Dhillon and Kiel Landrigan as vice presidents, and Melissa Billesberger returning as treasurer. Elena Romero was appointed to the past president role, after serving six years on the board, including two years as president. View the complete list of the 2018/19 BCIT Alumni Association board members.